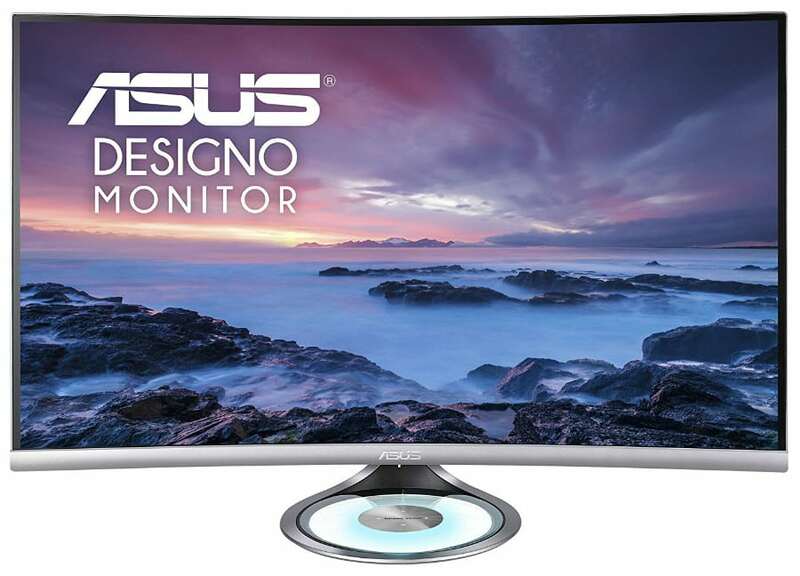 UPDATED: The Asus MX32VQ is a sassy, 32-inch Designo-branded monitor conceived for business executives that comes with an excellent aesthetic and image quality. This product focuses on being the all-around display for most users, whether if it’s for crunching the numbers or enjoying an after-hours session of gaming. The Asus MX32VQ doesn’t have its bigger sibling’s Qi Wireless Charging, so its worth a peek to see what it can offer to the consumers instead. The Asus MX32VQ utilizes a silver and matte black color combination to give the model its luxurious appeal. The face sports a 3-side bezel-free appearance which is a dual-stage design composed of a thin outer layer and a nearly invisible panel border. The steeper-than-most curve is more prominent on monitors of this size, possibly amplifying the intended effect for some users. One of the most prominent extras for the Asus MX32VQ is the circular base that is similar to what the MX34VQ includes, except there is no Qi Wireless Charging involved. 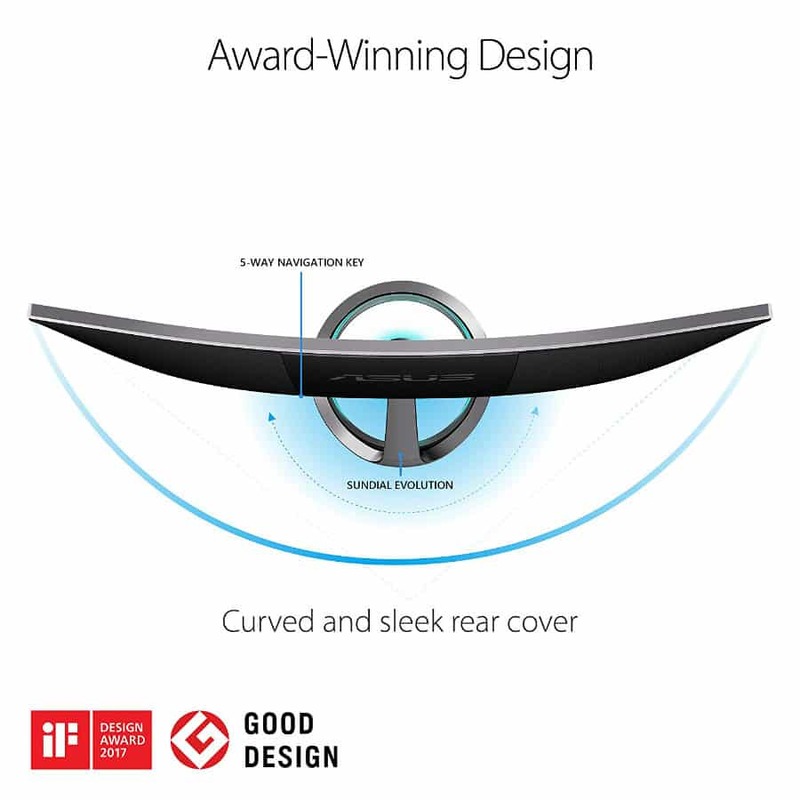 Instead, the metal disc on the bottom acts as a touch-sensitive volume control for the 8-watt Harman Kardon speakers. There is also a lighting feature with a blue glow which can pulse, breathe, or stay in a static state. The audio quality for the Asus MX32VQ is more than decent due to its aftermarket tuning. It’s also noticeably more potent than most built-ins, so it’s a viable solution for watching videos or even casual gaming. You can’t expect rumbling bass from the pair, but the ability to adjust volume levels should make up for the loss. The Asus MX32VQ’s OSD is accessible via a group of buttons with a joystick on the center of the bottom bezel’s underside. As always, this design is favored by most for the convenience it provides for the times when you need to dig through the sub-menus. One downside to this model is its very limited ergonomics which only allows tilt. Most of the time, there is little need for height adjustments for a monitor of this size plus you don’t need swivel or pivot for curved variants. The mechanism also isn’t removable probably due to the built-in volume control, so you are stuck with limited positioning options. The concealed I/O panel with a removable plastic cover includes DisplayPort 1.2a and two HDMI ports with support for Adaptive Sync so FreeSync will activate on any of the three slots. There are no USB slots, although you get a 3.5mm audio input jack and a headphone jack for your audio needs. All in all, the Asus MX32VQ’s build quality looked solid and refined just as we expected from a premium monitor. The materials do not feel cheap, and there is a nice weight to the whole package which equates to robustness and stability. The Designo line’s premium aesthetic and quality comes into play, but does the monitor have the image quality to match? The Asus MX32VQ includes a 32-inch VA panel with a 2560 x 1440 resolution, 75Hz refresh rate, and 4ms response time. Maximum contrast is specified at 3000:1 while the WLED backlight is set to have a limit of up to 300cd/m2. These numbers aren’t impressive for competitive gaming but are great for mixed or everyday use. But the Asus MX32VQ misses its 125% sRGB claim since it only produces 100% which is still good for most users. The problem is the inaccuracies that equate to a DeltaE average of 3.2 which will add a noticeable difference. The monitor looks extra saturated in some colors, so calibration with a colorimeter is necessary. You can push the Asus MX32VQ’s accuracy to DeltaE 2.3 with the use of a gadget like the DataColor Spyder Elite. Going through this technical process drastically improves the screen’s color balance, although it did not extend the gamut at all. 100% coverage is still reasonable, but there are VA monitors that are more capable. The contrast ratio for the Asus MX32VQ’s screen reaches an fantastic 2800:1 depending on your brightness settings. Blacks are satisfyingly deep and inky, but grayscale performance suffers a few errors. The grayish shades will look darker than they are supposed to be, but at least there are no banding issues. Panel uniformity is excellent for the Asus MX32VQ, with no deviances exceeding the recommended limits. Each quadrant is within 2-5cd/m2 variance, so the screen will look evenly illuminated when in use. Color uniformity follows the D65 standard closely, although the screen gets warmer on the upper quadrants. So far, most of the Asus MX32VQ’s limitations are forgivable for most uses since it results in a neutral-looking image output. But the product’s biggest flaw is its high pixel response time, which causes swift on-screen motion to have ghosting and artifacts. Playing vibrant and fast-paced games like Overwatch isn’t ideal due to blurs and image retention. The 75Hz refresh rate adds a level of smoothness to the screen, but it does little to reduce the blurring. If only the Asus MX32VQ shared its bigger sibling’s higher refresh, this would be less of an issue for gamers. The high contrast ratio should have been excellent for many titles since it highlights objects in dark areas or increases overall visibility. However, due to the grayscale errors, some scenes do not look sufficiently illuminated, giving gamers a harder time to spot enemies or objects. For movies, this isn’t a big issue, but players might have to look elsewhere. The Asus MX32VQ still has gaming value due to some included features. The monitor is protected by FreeSync from 48Hz to 74Hz if you use an AMD GPU, so visually-intensive titles like The Witcher 3 can still look amazing on this monitor. It’s also a huge factor that the input lag only hits 10ms, so there are no delays or “de-synced” instances during use. The Asus MX32VQ, although beautifully design, posted disappointing results when it comes to image quality. The screen would benefit from more factory tuning to at least tighten the color accuracy. The monitor’s 75Hz rate did not help the blurring, and ghosting issues of the VA screen, so competitive gamers should look elsewhere. 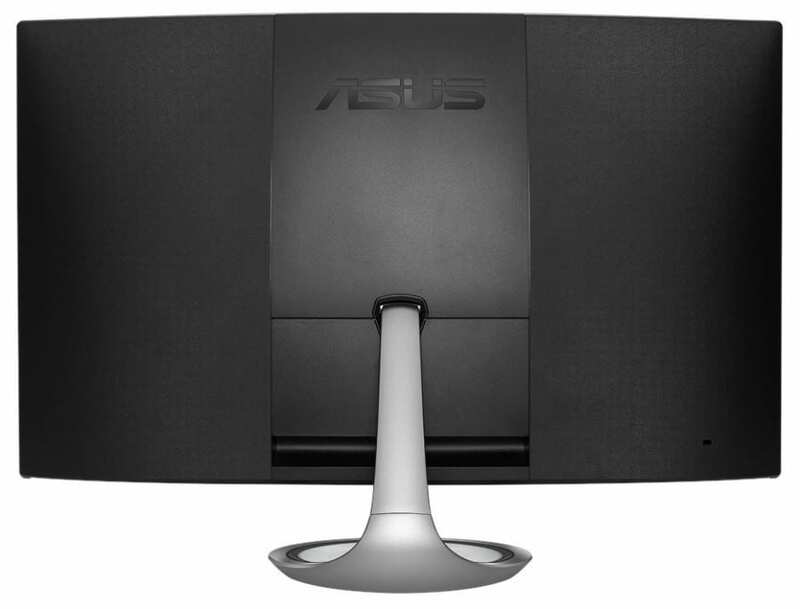 The design of the monitor is attractive due to the premium feel it exudes, but we can’t figure out why Asus did not include the Qi Wireless charging feature in this model. These limitations are forgivable in other instances, but it is a deal breaker for the expensive Asus MX32VQ. There are better and more capable models in the market for the kind of money this variant requires for ownership.